As I have to fit my travel plans around a full-time job, I often get to spend only three or four days in any one city, and I spend a lot of time researching and planning the perfect trip. My agenda usually includes a few key sights and/or museums and some fun places to eat, drink and, especially, caffeinate. 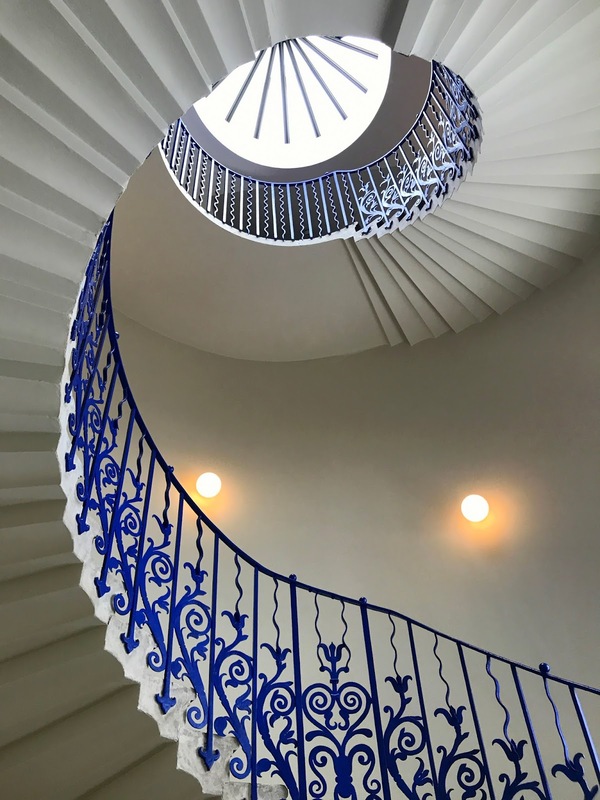 I’ve produced various ‘three days in…’ or ‘four days in…’ city guides, but it’s been a while since I compiled a guide to my favourite places in my own city, London. It’s going to be a busy weekend so you’ll probably need caffeine. 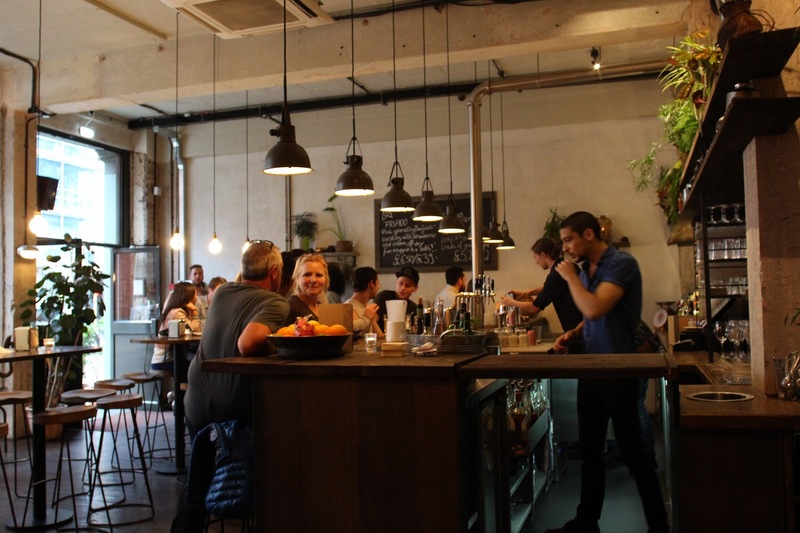 If you're in Clerkenwell, head to Prufrock on Leather Lane (pictured), but there are hundreds of great coffee shops in London so there will probably be at least one near where you’re staying. 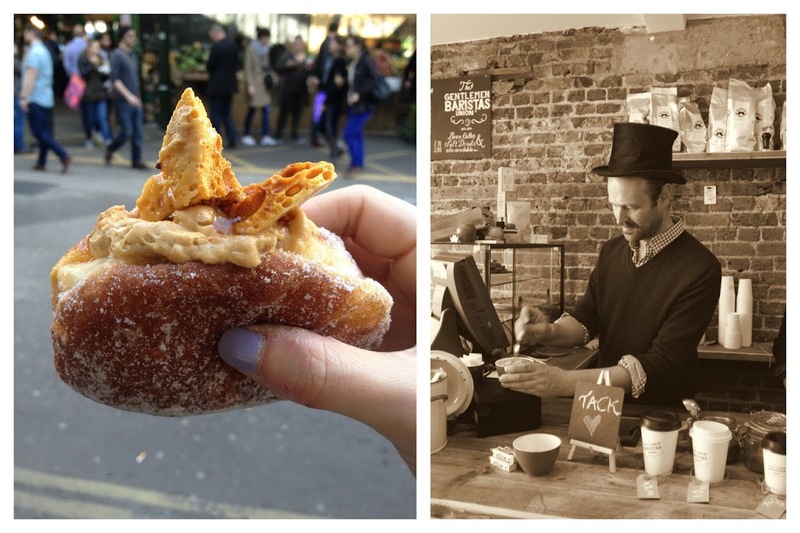 Skip to the end of this guide for a list of some of my current favourite coffee spots. The West End is never quiet but if you plan to hit the shops this weekend, Friday is the best time. 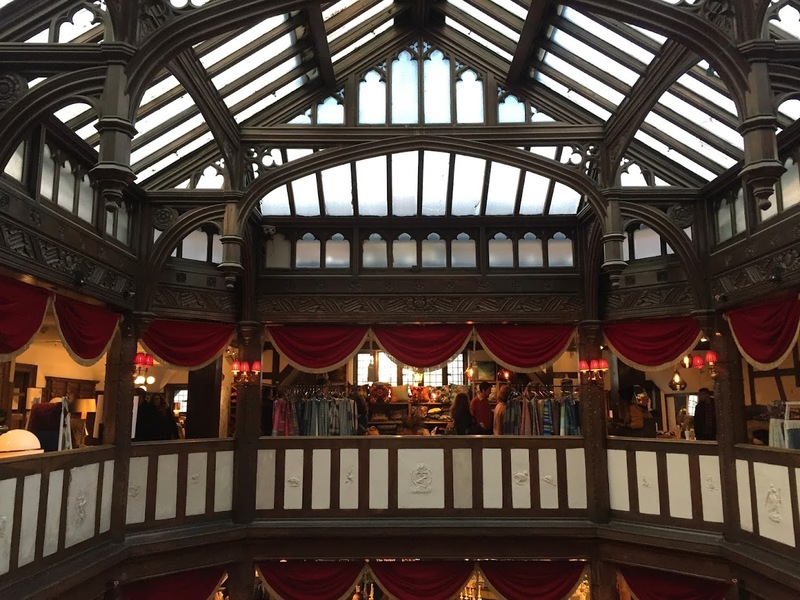 Liberty (pictured) is a fabulous department store and is great for gifts. Anthropologie, also on Regent Street, is pricier than in the US but has a good sale room. Go to Magma for quirky, design-oriented gifts and Foyles or Stanfords for books. Lots of London museums stay open late once a week or once a month. There’s a comprehensive list of which museums open late when here. On Fridays, you could go to the V&A, the Natural History Museum, the British Museum (pictured) or the Tate Modern. Plus, many of London’s best museums are free to visit. Yay! Regional Thai restaurant Som Saa (pictured), in Spitalfields, was one of 2016’s hottest new openings. There are some tables for walk-ins but try to book. 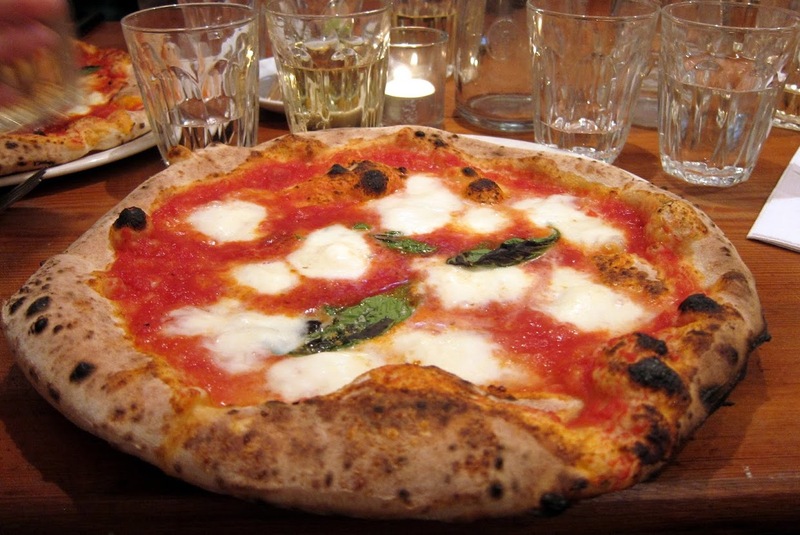 For a more casual option, Pizza Pilgrims (pictured), one of my favourite London pizzerias, has a Shoreditch branch. You can BYO booze, or a chocolate bar for them to convert into a dessert calzone. I don’t often go out in Shoreditch on Friday nights but there are a few cocktail bars for which I make an exception, such as Happiness Forgets, Hawksmoor's Spitalfields Bar, Callooh Callay and Joyeux Bordel. Nightjar (pictured), a prohibition-style bar tucked away near Old Street roundabout, is also excellent for classy, creative cocktails. If your head isn't too sore, head out early for a walk (or a run) along the South Bank of the Thames. The stretch from Waterloo Bridge to Tower Bridge includes some of the city’s most iconic sights, from the Houses of Parliament and Elizabeth Tower (home of Big Ben), to the Shard and Tower of London. Borough Market, the huge, historic gourmet food market near London Bridge, is always busy at the weekends, but mornings are less crowded. Don’t miss the epic Bread Ahead doughnuts (pictured). The market’s best coffee can be found at the Flat Cap cart or Monmouth. If you buy some of Monmouth’s locally roasted coffee beans, you can join the shorter queue on the right. For an impeccable cup of coffee in dapper surroundings, walk five minutes to the Gentlemen Baristas (pictured) on Union Street. 15 minutes’ walk from Borough in Bermondsey is Maltby Street Market. 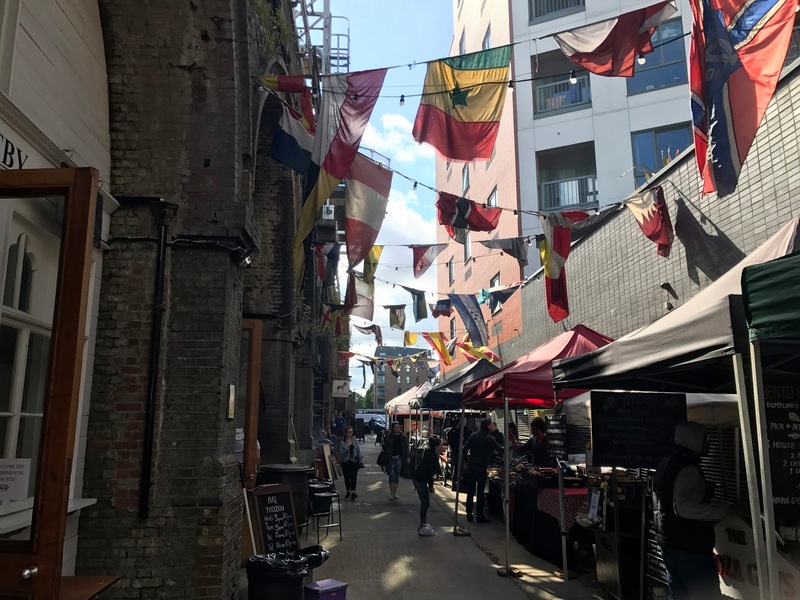 Open on Saturdays and Sundays, the market's Ropewalk section (pictured) hosts street-food vendors and local food and drink producers, with everything from grilled cheese and gyoza, to brownies and bacon sarnies. Be sure to stop for a gin cocktail at Little Bird or Jensen's. There are more stalls in Druid Street and at Spa Terminus. If you like craft beer, consider doing some of the Bermondsey Beer Mile. Alternatively, take the Thames Clipper to Greenwich from London Bridge. In Greenwich, visit the Royal Observatory, the Queen’s House (don’t miss the Tulip Stairs pictured below), the Old Royal Naval College and Greenwich Market, or sample the local Meantime beer. One of my favourite London restaurants is Pedler, a relaxed all-day eatery with beautiful interiors on Peckham Rye. The food and creative cocktails (featuring Little Bird Gin) are top-notch and the staff are lovely. Lots of buses run to Peckham Rye, or you can take the Overground. After dinner, head to Frank’s Cafe (only open in summer months; pictured below) on the 10th floor of a Peckham multi-storey car park. The cocktails are good and well-priced and there’s a superb view. There is a covered area, but it’s not very sheltered so during less clement climes, try John the Unicorn or, for arcade games, The Four Quarters. Columbia Road flower market, a short walk from Shoreditch High Street Overground, is only open on Sundays from 8:00 am until 3:00 pm, and is best experienced early in the morning. Buy some flowers or plants or just enjoy the ambiance. 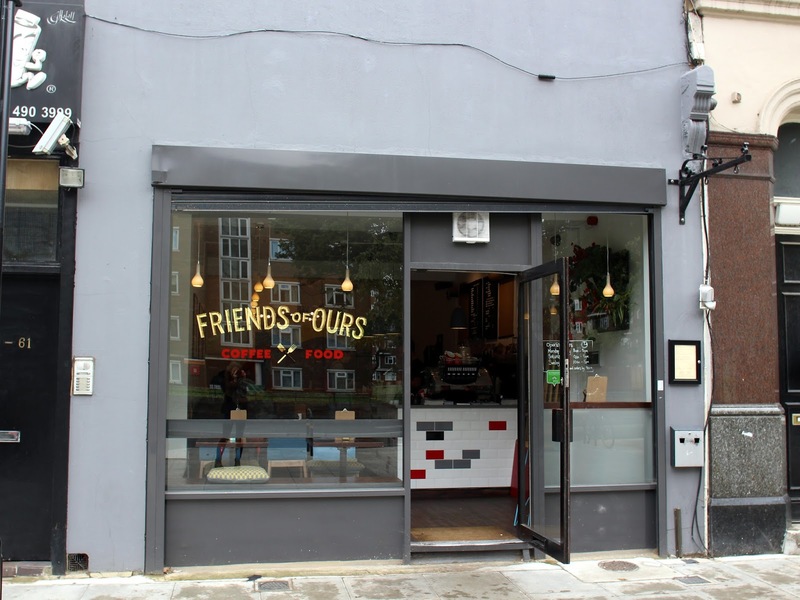 For a relaxed late breakfast in Hoxton, look no further than Friends of Ours (pictured) or Embassy East. Both serve great all-day menus, with particularly good brunch dishes, and excellent coffee (from Dark Arts and Assembly, respectively). Interiors stores abound in Shoreditch (I like SCP, Goodhood and Luna & Curious), and Redchurch Street is a cool shopping street (try Aesop for beautiful skincare, Labour & Wait for hipster homewares and Modern Society for fashion; for coffee, head to Allpress). There are lots of pop-up shops inside Boxpark, and other shopping options in and around Spitalfields Market. 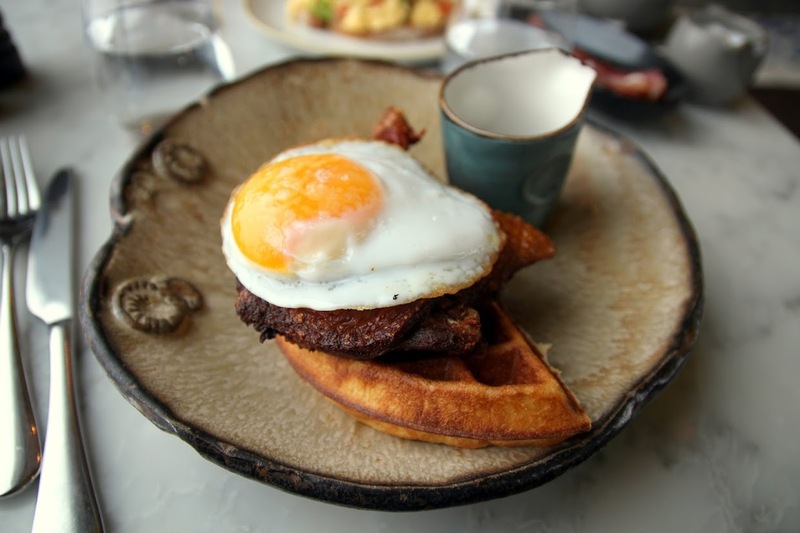 The brunch — and views — at Duck & Waffle are superb. Order the titular duck and waffle (pictured) and try to get a table by the windows. You’ll need to book way in advance for prime slots but the restaurant is open 24/7 so if you’re up very early (or late), you might get lucky. If you can't get a table, the restaurants at the Sky Garden also have good views (get coffee before or after at The New Black). 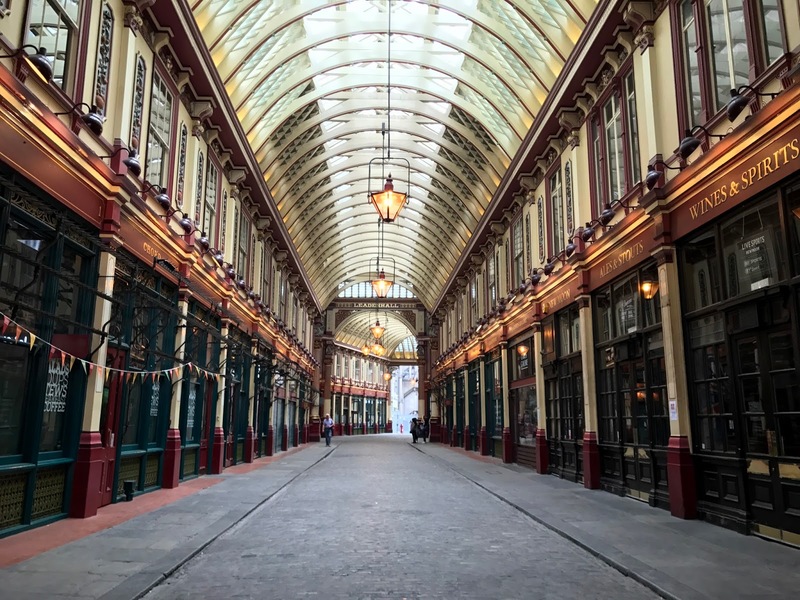 I love exploring the fascinating architecture and historic buildings of the near-deserted City of London on Sundays. Depending on your tastes, you might like to visit Leadenhall Market (pictured), One New Change (the shopping centre’s public rooftop has a wonderful view of St Paul’s Cathedral) or The Barbican Centre. 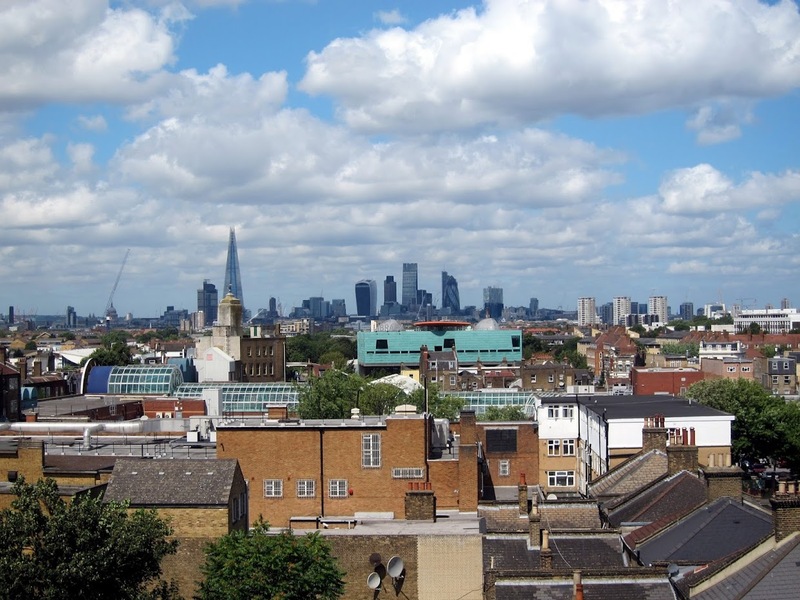 Walk or take the Tube to King’s Cross, and visit the Wellcome Collection or the British Library. If you go to the latter, don't miss Origin Coffee (pictured) by the entrance, a tiny coffee bar serving some of the best coffee in London. 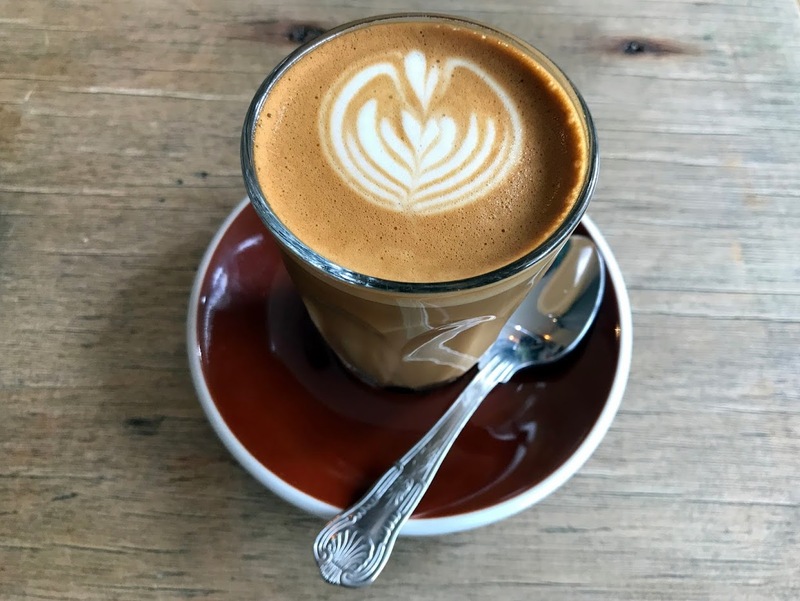 speciality coffee spots: Association (City), Kaffeine (Fitzrovia), Ozone (Old Street), White Mulberries (Wapping) and Workshop (multiple locations); and five more: Catalyst (Holborn), Iris & June (Victoria), Old Spike (Peckham), Second Shot (Bethnal Green) and TAP Coffee (Fitzrovia). 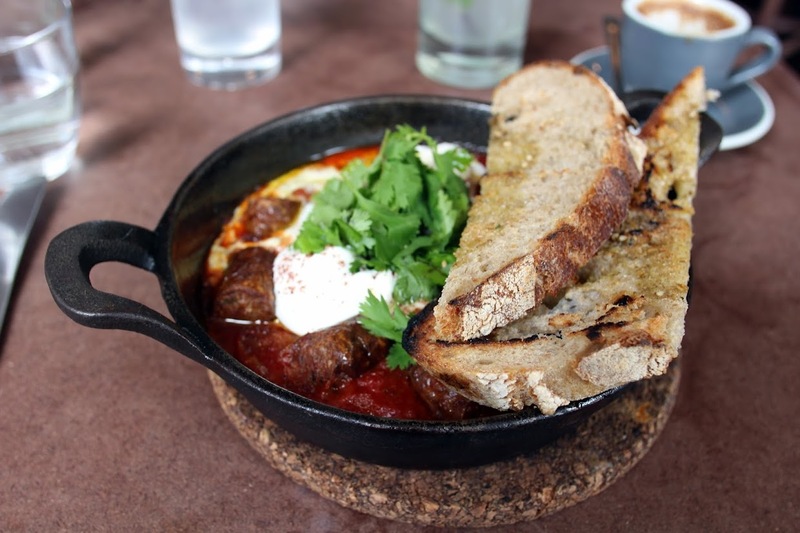 brunch spots: Caravan (multiple locations), Dirty Bones (Soho), The Good Egg (Stoke Newington), Hixter (Bankside) and Riding House Cafe (Fitzrovia). 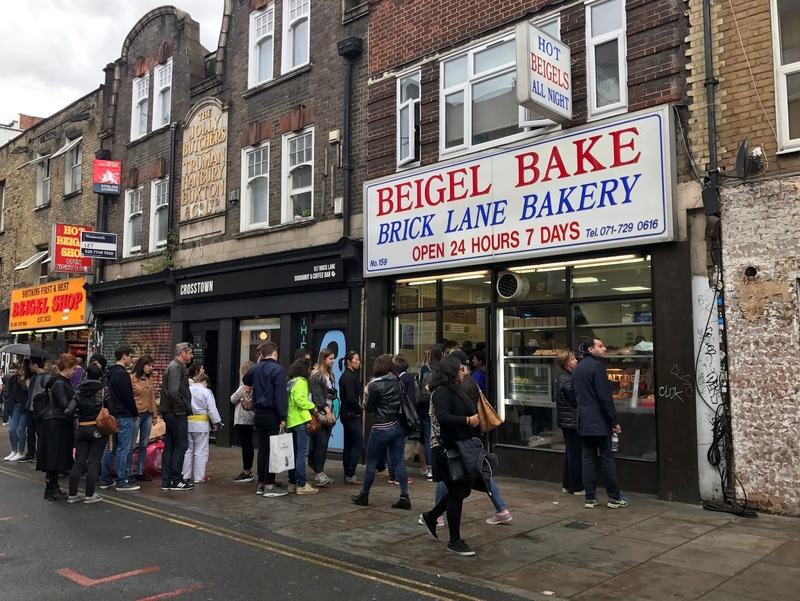 food markets: Brixton Market (Brixton), Brockley Market (Brockley), Broadway Market (Hackney), KERB (multiple locations) and Street Feast (multiple locations). 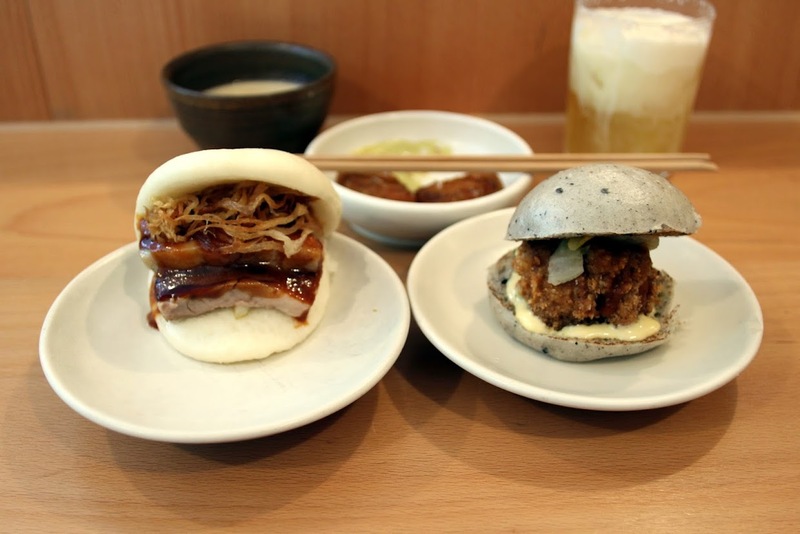 quick eats: Bao (Soho), Beigel Bake (Brick Lane), Daddy Donkey (Clerkenwell), Honest Burgers (multiple locations) and Pizza Pilgrims (multiple locations). dinner picks: Burger & Lobster (multiple locations), Dishoom (multiple locations), Hawksmoor (multiple locations), Mele e Pere (Soho) and Padella (Borough). cocktail bars: 214 Bermondsey (Bermondsey), 69 Colebrooke Row (Islington), BYOC (Soho), Dandelyan (Bankside) and the London Gin Club (Soho). 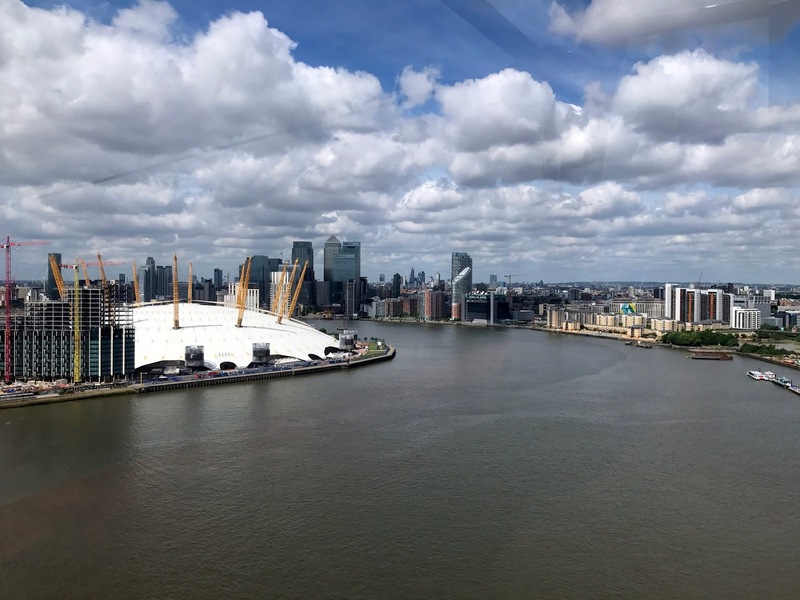 unique things to do: climb the O2, make doughnuts with the pros, visit a gin distillery, join an architecture tour and queue for £5 standing tickets at the Globe. parks: Greenwich Park (Greenwich), Hampstead Heath (Hampstead), the Olympic Park (Hackney), Regent’s Park (Marylebone) and Victoria Park (Hackney). indie cinemas: BFI Southbank (Waterloo), Curzon Soho (Soho), Peckhamplex (Peckham; most tickets are £4.99), Ritzy (Brixton), and Screen on the Green (Islington). Accommodation: London hotels can be expensive, but there are deals to be had. When I'm hunting hotels, I work out in which neighbourhood I want to stay (near the good coffee) and then scour sites like booking.com and hotels.com before waiting for a sale (I also check if the hotel offers a better deal for direct bookings). I’ve never used AirBnB, but friends have had good experiences in London, and it can be more affordable, especially if you stay less centrally. Arriving: From Heathrow, it’s cheaper (and unless you are staying near Paddington, as efficient) to take the Tube than the Heathrow Express into central London. Likewise, from Gatwick, the Gatwick Express is really only worth it if you’re staying near Victoria; otherwise, it’s cheaper to go to London Bridge or St Pancras. From Luton and Stansted, trains go to St Pancras and Liverpool Street, respectively. You can also take a taxi or Uber into town; if you’re in a group, it may be cheaper but not necessarily faster. Getting around: Most places in this guide are accessible by Tube and/or bus (south of the river, buses tend to be more efficient). If your debit or credit card allows contactless payment, you can use it on public transport. Otherwise, pick up an Oyster card or travelcard. Note: bus drivers don't take cash. Money: UK currency is the pound (£). Credit and debit cards are accepted almost everywhere in London — even at many street-food stalls. Cashpoints (ATMs) are ubiquitous; some charge a fee for withdrawals but should warn you in advance. When to come: Autumn and spring are my favourite seasons in London. The weather won’t always (or often) be great but the fall foliage and blossom, respectively, make the city particularly pretty and you’ll miss the busiest summer tourist peak. Watch out for Easter, though, as many places close for at least some of the four-day weekend and it’s often busy. 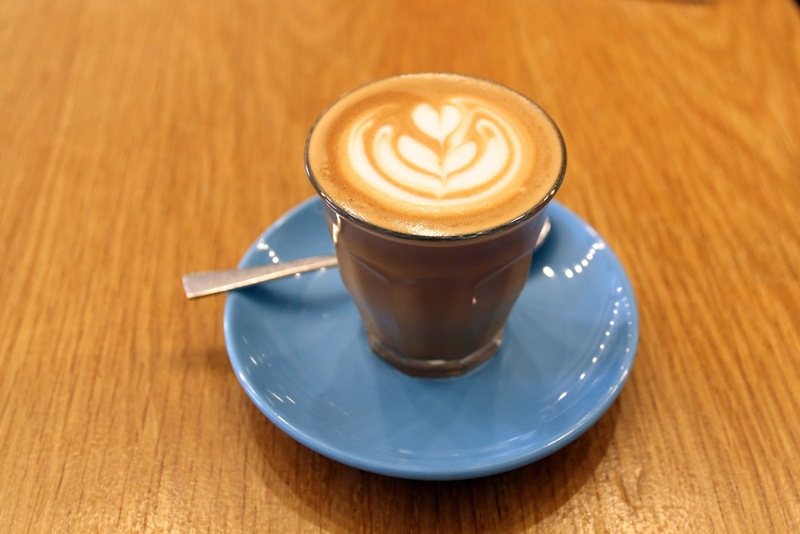 London’s Best Coffee — comprehensive website and app with excellent coffee recommendations across London. If I'm heading to a new neighbourhood, this is my first port of call. Brian's Coffee Spot and Bean There at also have a wealth of coffee recommendations. Long term lurker but just wanted to emerge from the depths of lurkerdom to say how excellent this post was. Mine would be quite different but that just goes to show how great a city London is. Well done. Thanks, John; that's really nice to hear. You're quite right that every Londoner will have their own 'London favourites' (and I suspect that my own list will continue to evolve). Any particular favourites of your own that you'd like to suggest? I'm always interested to hear other people's way of 'doing' the city.